This marble tombstone marked the burial of a Muslim woman, or more likely a young girl, who died in the 11th century. 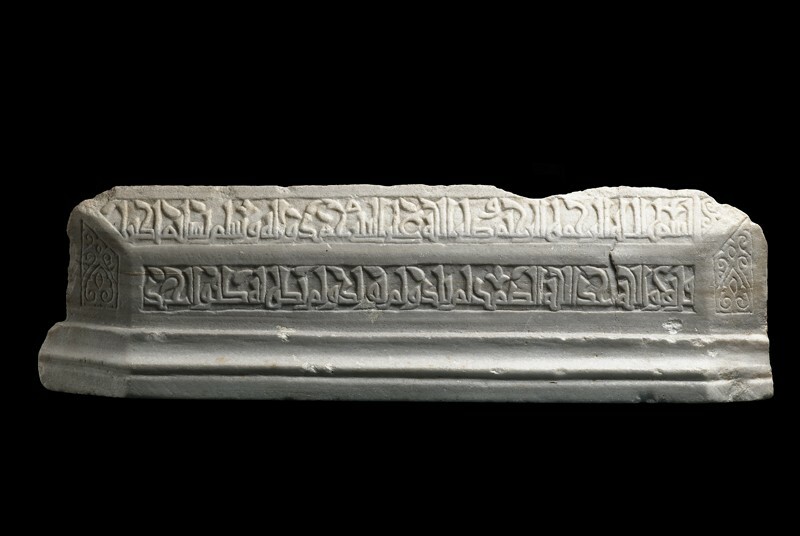 The shape of the tombstone, its material, and the style of writing used for the inscription suggest that it comes from North Africa, probably from present-day Tunisia. 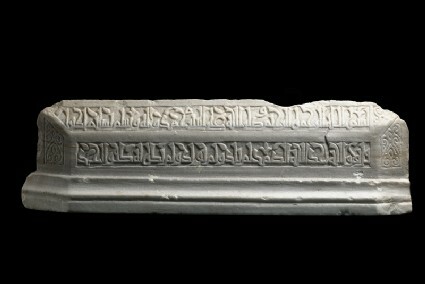 The inscription running on both sides gives us information about name of the deceased and the date of her death. Although her name cannot be reconstructed with absolute certainty, she might have been called Ghariba, the daughter of Makhluf al-Jala. She died on 4 Shawwal of the year 431 of the Islamic calendar, corresponding to 17 June 1040 AD. The identification of the deceased is preceded by blessings, and sura (chapter) 112 of the Qur’an, which proclaims the unique nature of God. The text ends with a prayer for the consolation of the deceased’s parents, which is often part of the inscriptions on the tombs of young children.